thks for the recipe. i was looking for kulfi recipe. anyway what is KHOYA/MAWA. Wowwww... super tempting and delicious.. Stunning presentation too. simply amazing job dear !! wow wht a perfect kulfi..So tempting. 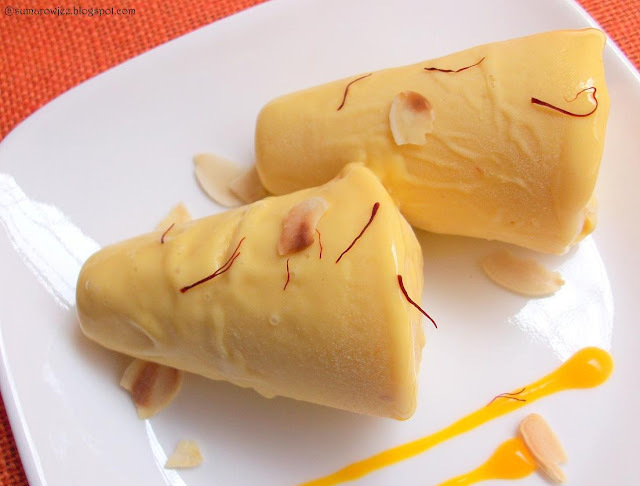 really nice kulfi........nice to read about the extract. OOOOOOOO! I cannot read your post. My floks will have to come in with a mop as I am drooling over the pics. Will come back to read after I demolish the kulfi we brought from P&S not as beautiful as this but kulfi. 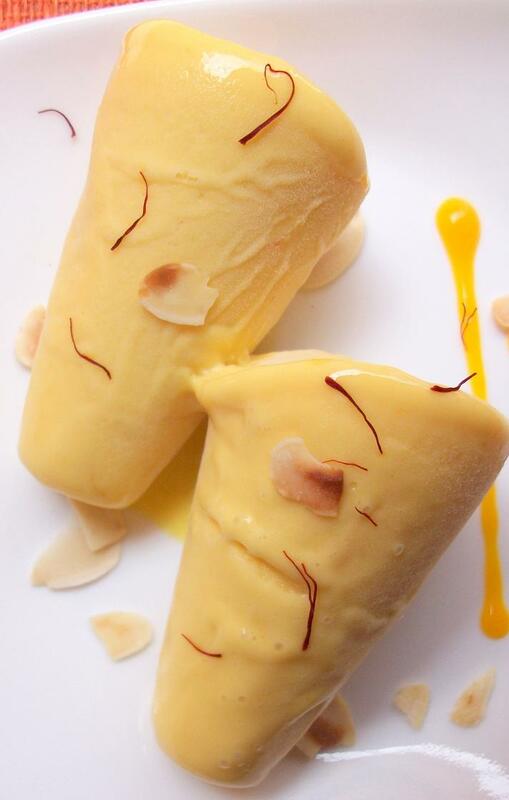 Yum yum, super rich and droolworthy kulfi,loving it. 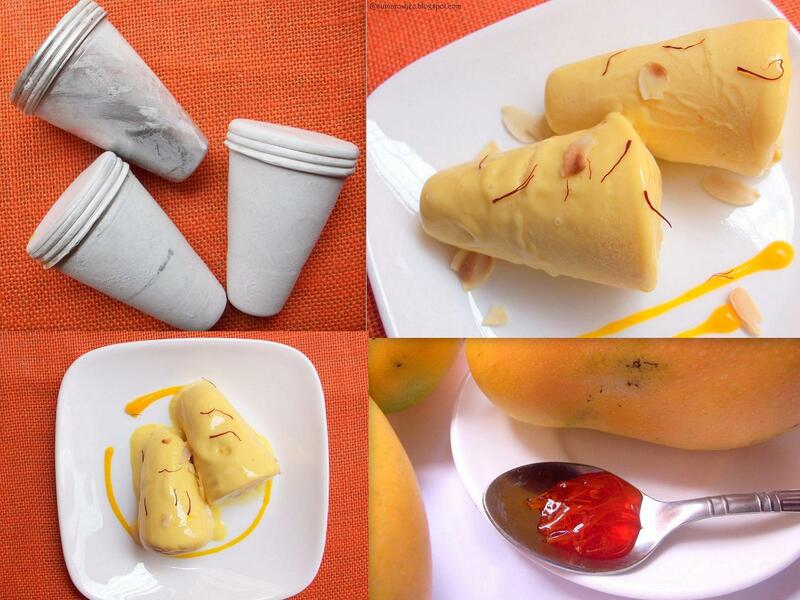 Mango,saffron and kulfi by itself sounds tempting! 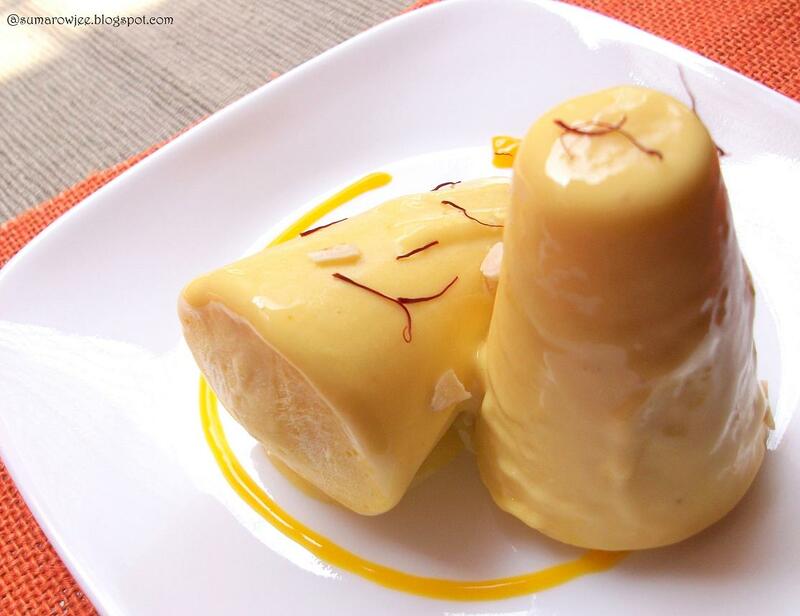 The kulfi looks creamy, delicious and absolutely yum.